Interspersed among the cynicism and tiredness that comes across so clearly in the Biblical book of Ecclesiastes, are moments of humour, glimpses of pathos, as well as passages of insightful wisdom. Over the course of the book, the writer, an unknown preacher, teacher or king explores the meaning of life. He reflects on wisdom and its use, he compares youth and old age, and in the third chapter he records some lines of near poetry that rather surprisingly became a huge international hit for the American folk rock group The Byrds in 1965. The song, Turn Turn Turn, takes it’s lyrics near enough word for word from Ecclesiastes. Opening with ‘To every thing there is a season, and a time to every purpose under the heaven’ and continuing on listing events and happenings that occur over the course of a life and contrasting them with their opposites, the ‘seasons’ that the author ends with are ‘a time for war, and a time for peace’. There will be peace. There will be war. It’s going to happen, and there’s nothing we can do about it. Certainly even the most cursory glance at the pages of a history book would lead to the conclusion that humankind’s major instinct is to fight. And as technology improves, there are better and better ways invented to kill more and more people. Although the individual stories of heroism and sacrifice can be drowned out by the extraordinary statistics of deaths and injuries, our responsibility as inheritors of a society where freedom has been bought at a tremendous price is significant. 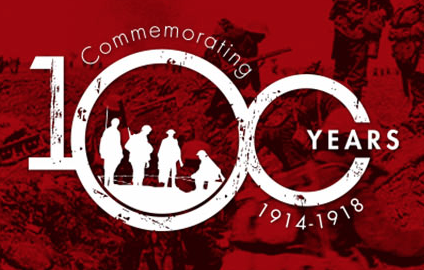 As we commemorate the end of First World War 100 years ago, the time to kill and the time to be silent is over. Now is the time to speak up for those who still are affected by conflict in our world. Now is the time to bring healing to relationships broken and shattered by war. Now is the time to pray that that the God of peace will rule in our lives, and those of the whole of his creation.